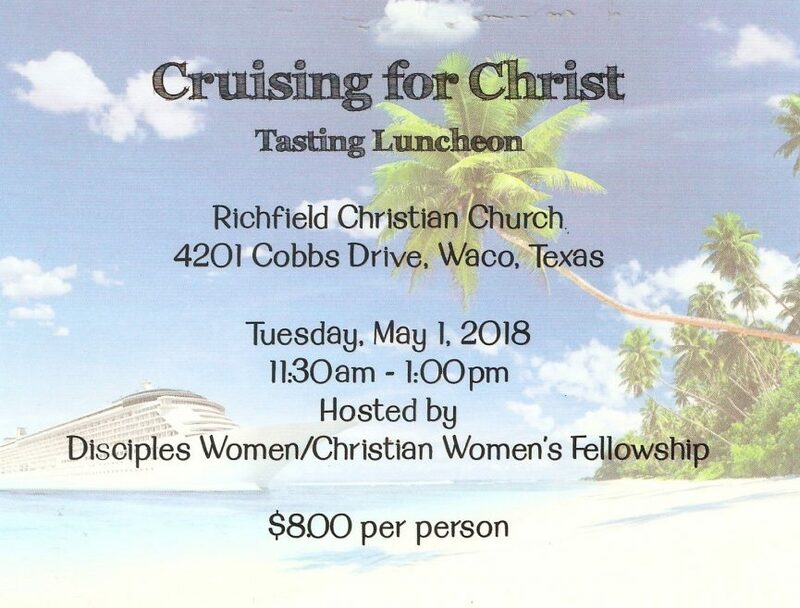 Richfield’s Disciple Women’s Group is hosting their annual Tasting Luncheon. All proceeds are used for various charity organizations. Dine in or Take out. Cost is $8.00 per person. Come Join us in the Fellowship Hall at 4201 Cobbs Dr. from 11:30am-1pm Tuesday May 1st! It’s hard to beat this lunch anywhere in Waco! Bring a friend or a family and enjoy the food! There are also homemade quilts and cards for sale. Hope to see you there! !